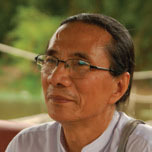 Sulak Sivaraksa is the Rector of The INEB Institute and author of more than 50 books in Thai and English on Buddhism, social justice, and social critique. 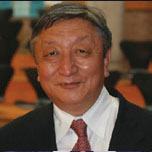 He is the cofounder of INEB and the Spirit in Education Movement (SEM), and he is a member of the World Future Council. 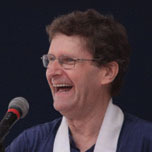 Theodore Mayer is an anthropologist who has done extensive research, curriculum design, and teaching in the areas of socially engaged Buddhism and foreign language acquisition (English, Spanish, and Thai). He is Academic Director of the INEB Institute. 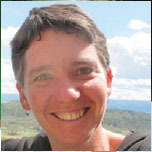 Lucy Burriss is an English teacher completing her Master’s Degree at SIT Graduate Institute with a focus on intercultural training design and facilitation. She is working with INEB Institute’s School of English for Engaged Social Service. 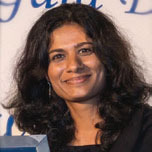 Nilanjana Premaratna is a scholar-practitioner from Sri Lanka working at the intersection of art and peacebuilding. She holds a Ph.D. in International Relations from the University of Queensland and joined INEB Institute in 2015. Ouyporn Khuankaew is co-founder and lead trainer of the International Women’s Partnership for Peace and Justice (IWP). 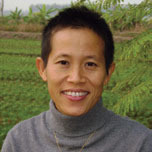 Her trainings emphasize Buddhist feminist peacebuilding and non-violent direct action. Prior to IWP she ran the gender program of INEB. 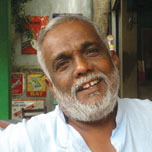 Dhammachari Lokamitra is founder and president of the Nagarjuna Institute in Nagpur, a center for training in Buddhist practice and social action for young people, especially Dalits, from all over India. Inspired by Dr. Ambedkar and guided by Urgyen Sangharakshita, Lokamitra teaches the Dhamma as a means of empowerment. Since moving to India in 1978 he has helped create many Dhamma teaching centers and social projects. Lodi Gyari Rinpoche is co-chair of the INEB Advisory Committee and chairman of the Conservancy for Trans-Himalayan Arts and Culture. Lodi worked as a high-level diplomat and advocates for the Tibetan people, universal human rights, and global democratic reform. 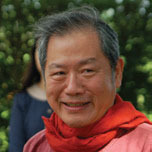 Dr. Yo Hsiang-Chou is a scholar who has focused his research and teaching on the thought of Nagarjuna. He has taught at a number of universities in Taiwan, his primary tenure being in the Department of Buddhist Studies at Fo-Guang University. Dr. Yo is currently a member of INEB’s Advisory Committee. Venerable Dhammananda Bhikkhuni is Thailand’s first fully ordained Theravada Buddhist nun. She is internationally known for her leadership in revival of the bhikkhuni sangha and for her readings of early Buddhist texts. 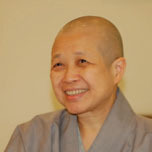 In 2004, she received the Outstanding Women in Buddhism award. Ven. 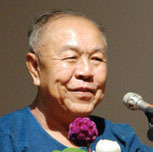 Chao-Hwei Bhikkhuni is Professor and Dean of the College of Social Sciences, Hsuan-chuang University and is a patron of INEB. She explores Buddhist ethics and challenges gender hierarchy and inequality within the Buddhist Sangha. 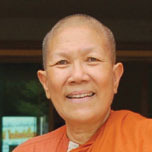 In 2009, she received the Outstanding Women in Buddhism Award. Harsha Navaratne is a prominent civil society activist from Sri Lanka and is the founder and Chairperson of Sewalanka Foundation, Sri Lanka. 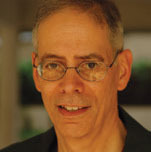 His work primarily concentrates on community development. Harsha is the recipient of two honorary doctorates and currently serves as the Chairperson of the INEB Executive Committee. 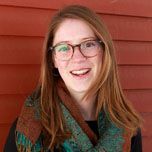 Ginger Norwood is the co-founder and program coordinator at International Women’s Partnership for Peace and Justice (IWP) based in Chiang Mai, Thailand. She runs workshops and retreats for grassroots activists and leaders across Asia integrating feminism, non-violent activism and spiritual practice. 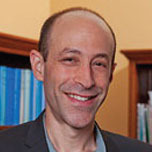 Matthew Weiner is Associate Dean of Religious Life at Princeton University. His career has focused on promoting interfaith connections through dialogue, service learning, and social justice programs. He holds a Ph.D. in Theology from Union Theological Seminary and an MTS from Harvard Divinity School, and has extensive experience with engaged Buddhists in South and Southeast Asia. Greg Kruglak is Co-founder of the Conservancy for Trans-Himalayan Arts and Culture. He holds a Ph.D. in Political Science and International Relations from the University of Geneva, and his research interests focus on Buddhism in contemporary society. He works with various philanthropic and disaster relief agencies across Asia. 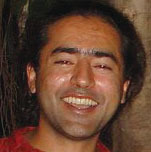 Prashant Varma is co-founder and Director of Deer Park Institute, working under the guidance of Dzongsar Khyentse Rinpoche. 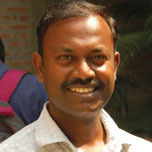 Prashant is also a social worker, acts as the Secretary to the Board of Siddhartha’s Intent in India and is a member of INEB’s Executive committee. Gauthama Prabhu is co-founder of Foundation of His Sacred Majesty, an NGO for social transformation, and VIHARA, a Buddhist revival movement, both based in Tamil Nadu. Currently he is the Director of Nagarjuna Training Institute at Nagaloka in Nagpur, and he is a member of INEB’s Executive Committee.